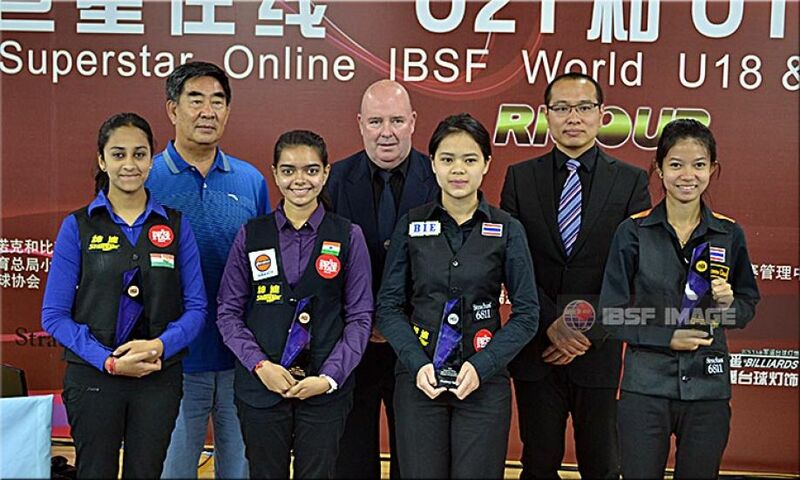 Nutcharat Wongharuthai from Thailand knocked out her compatriot and multiple time World world title holder in different categories, Siripaporn Nuanthakhamjan to win the 2017 IBSF Open Under-18 Women Snooker Championship here at Beijing, China. Nutcharat is always considered one of the best player for break building. She started the final match in the same style by crafting opening break of 67 points to take 1-0 lead. Further she raised it to 2-0 by scoring 70-01 in the next. 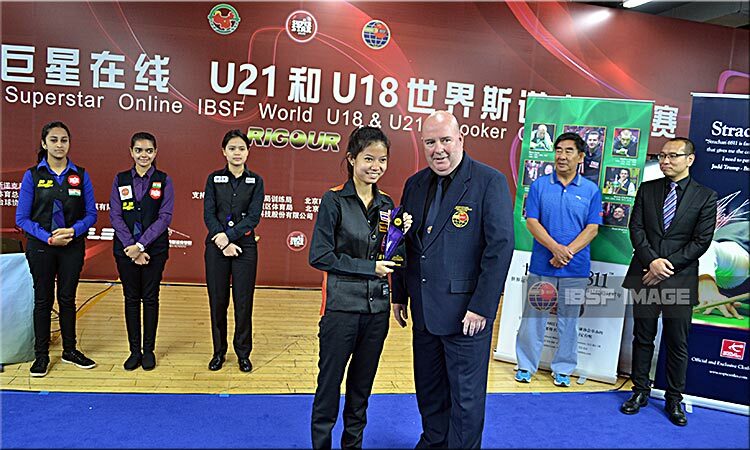 Siripaporn got the chance, which she was waiting for, in third frame and fought hard to grab that on last black. Certainly that must have given her confidence back and she used her all experience in next frame too to come at par. The final frame was also tough as Siripaporn was performing well, but in the end Nutcharat managed to clinch the frame and the competition by potting the last black. Being Semi finalsts, both the Indian girls, Ishika Shah and Keerthana Pandian shared joint Bronze.